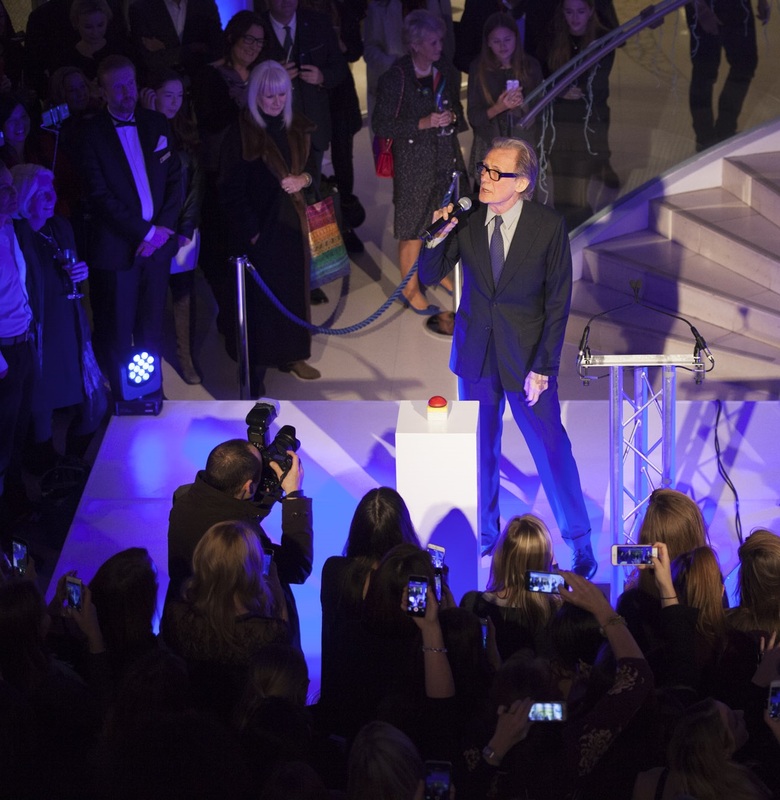 Bill Nighy, award-winning actor of the stage and screen, switched on the Christmas lights at a magical evening at Design Centre, Chelsea Harbour. 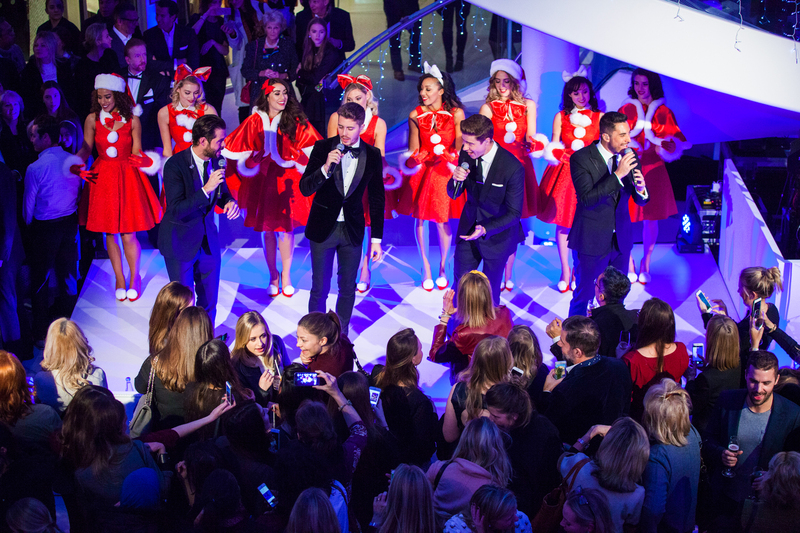 Warmly welcomed by a huge crowd, he brought seasonal good cheer to the evening by illuminating the glass domes in Europe’s premier design centre with thousands of twinkling lights. 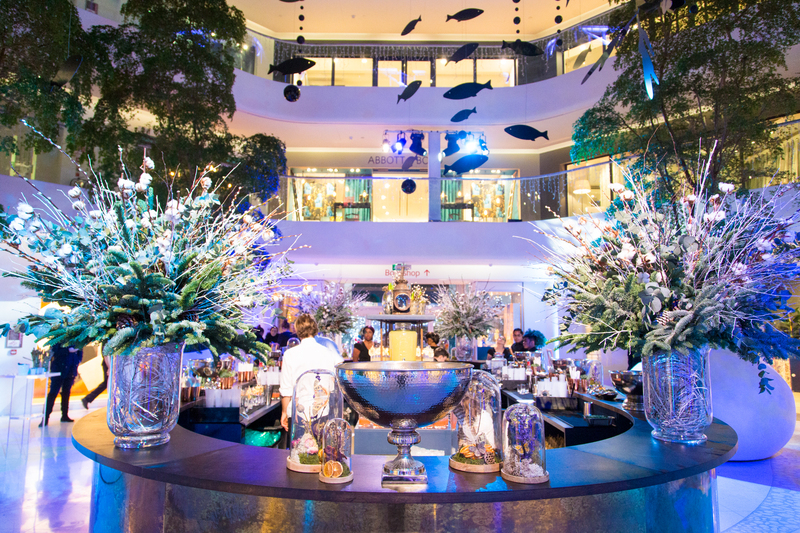 Now in its seventh year, the event is a much-anticipated annual tradition and was attended by top designers and high profile style-setters. 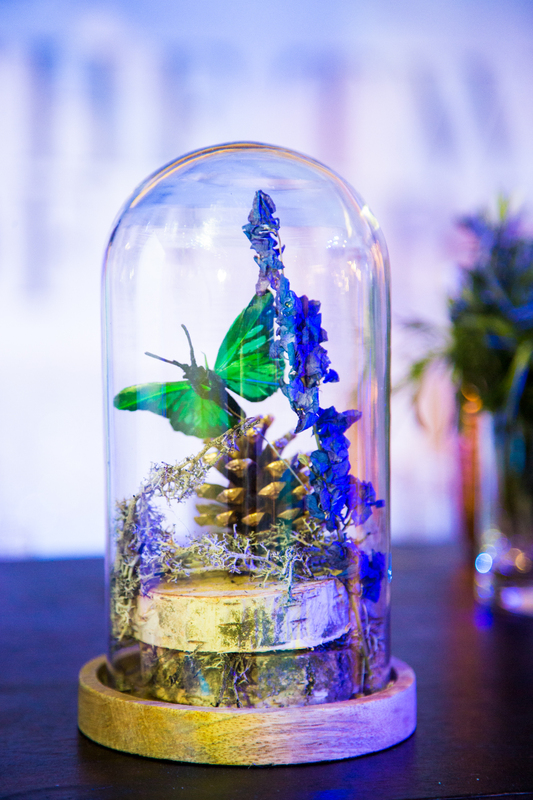 Every element was designed to evoke an Enchanted Forest. 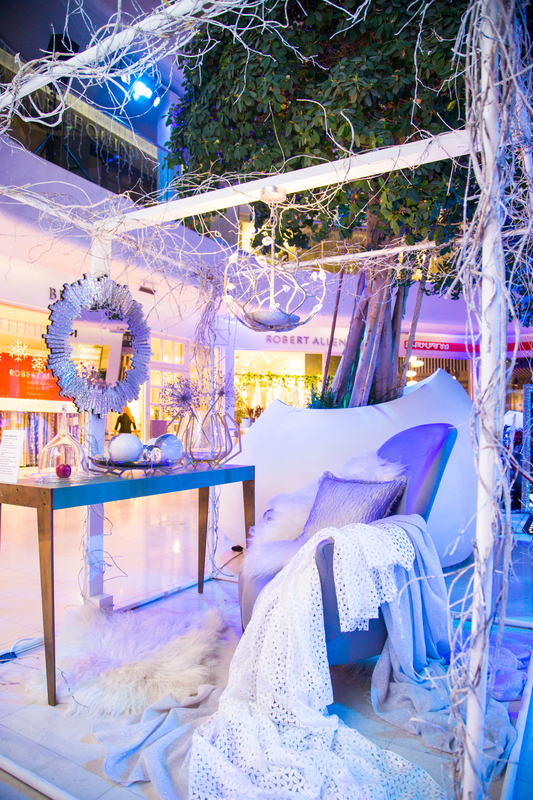 The centrepiece was a canopy of twinkling branches, white with snow, cascading through the centre dome. 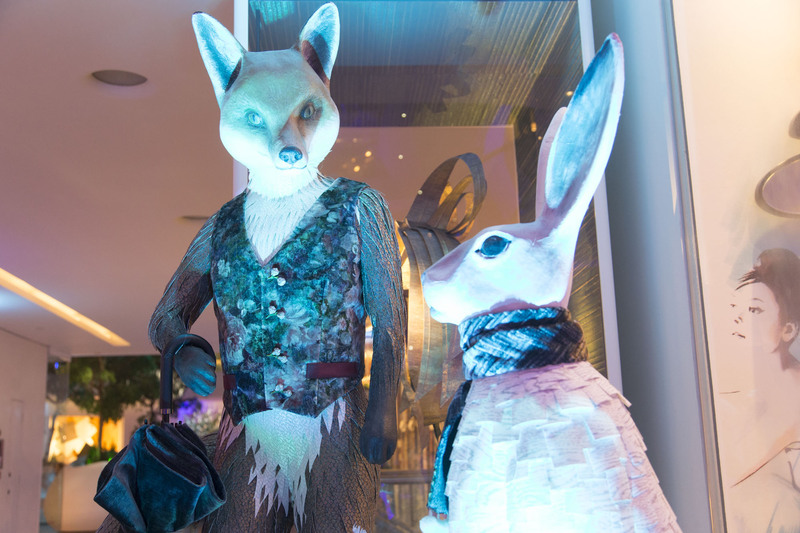 Woodland creatures, hand-carved and larger-than-life, made their home in design’s natural habitat, amongst the guests. 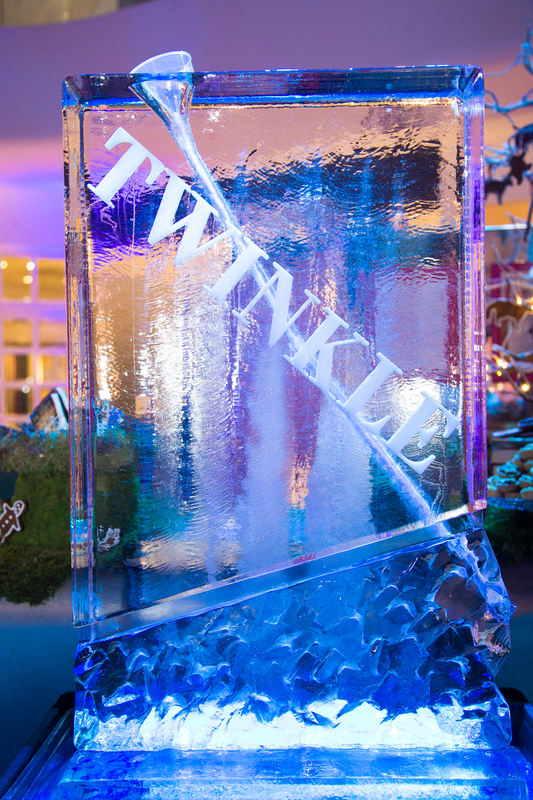 The cool crowd enjoyed seasonal cocktails, as well as live performances from Urban Voices Collective and Jack Pack who kept the party atmosphere sparkling. 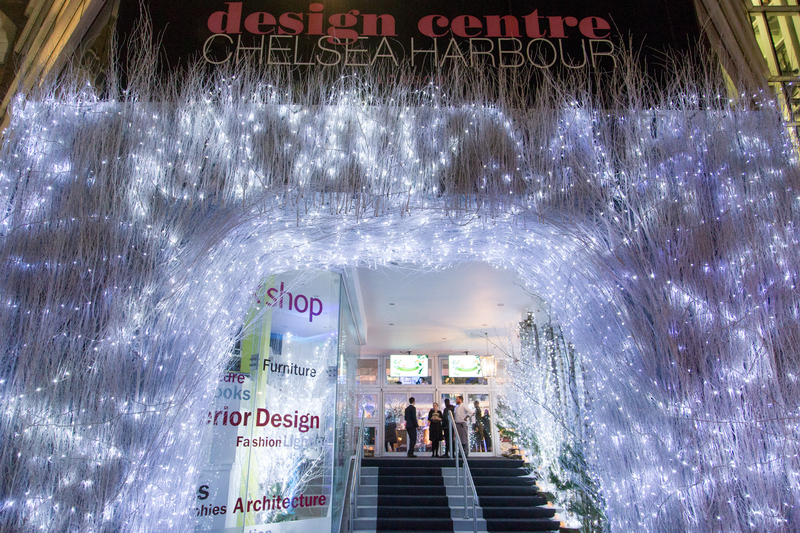 If there is one thing that Design Centre, Chelsea Harbour loves, it’s planning how an event will look. 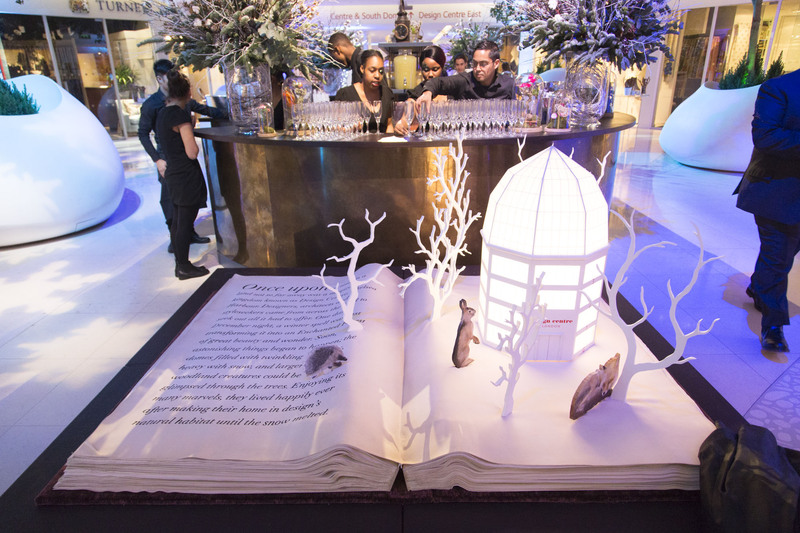 Narrative has never played a greater role in interiors – so for the Twinkle of Christmas, the Design Centre turned the spotlight on storytelling creating a fairytale landscape immersed in magic and wonder. 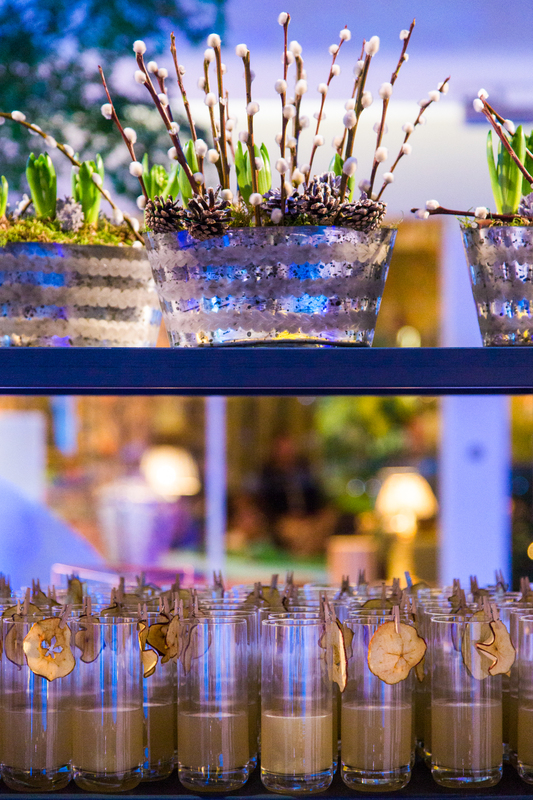 Months in the planning and hours in the making, it was a collaborative process with the marketing team working closely with stylist Arabella McNie and a brigade of skilled electricians and artisans to create an Enchanted Forest of unforgettable beauty. The centrepiece is a canopy of twinkling branches, white with snow, cascading through the centre dome and illuminated by thousands of lights. 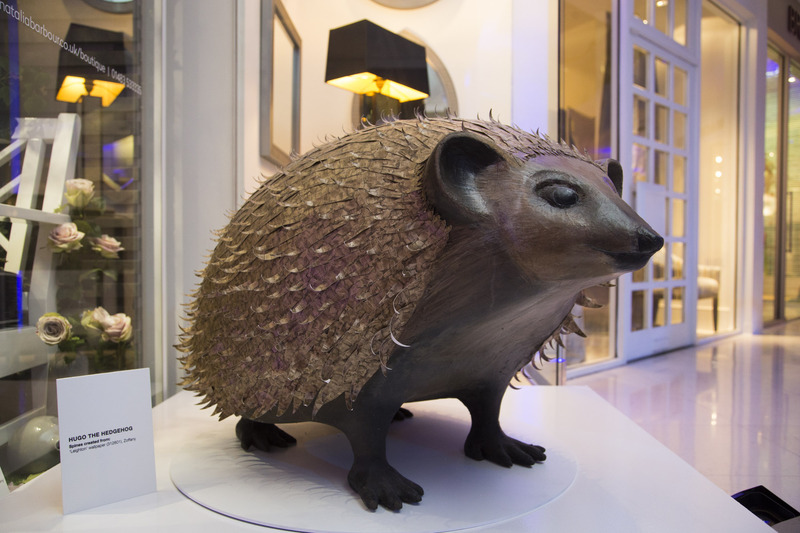 Enchanting woodland creatures, hard-carved and larger-than-life, can be found throughout making their home in design’s natural habitat. 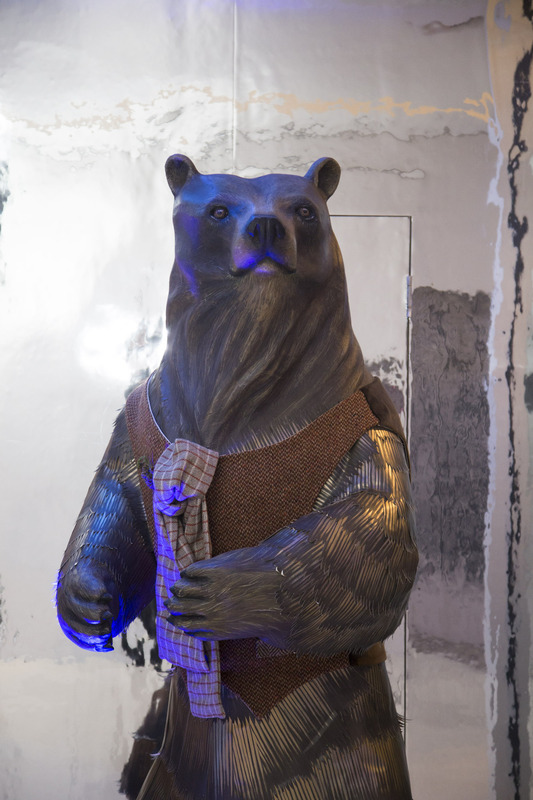 They include Hugo the Hedgehog, Felix the Fox, Stamford the Squirrel, Hermione the Hare and Bernard the Bear, which at over 6.5ft, is the largest of the group. Wallpaper has been meticulously used to create their textured fur, and they are clothed in the season’s most desirable fabrics. 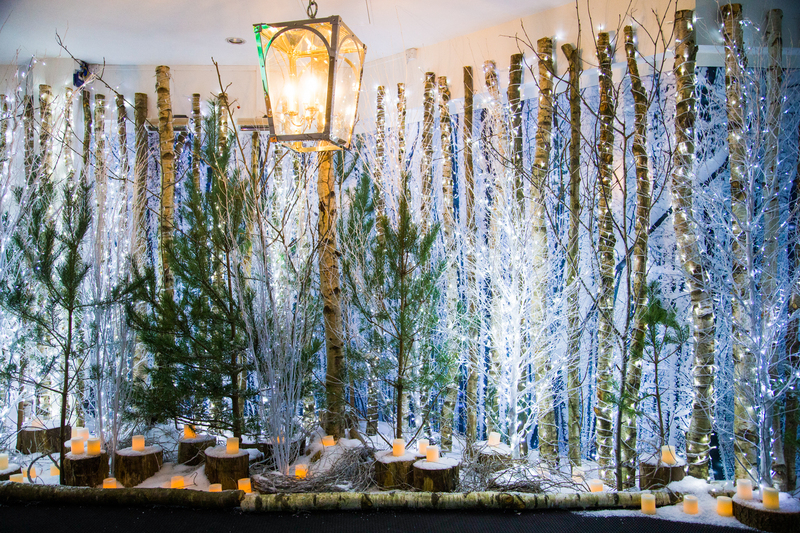 Growing from the forest floor, silver birch, Scots Pine and Rowan set the scene creating the entrance to the winter wonderland beyond, while a giant two-metre story book introduces the beguiling theme. 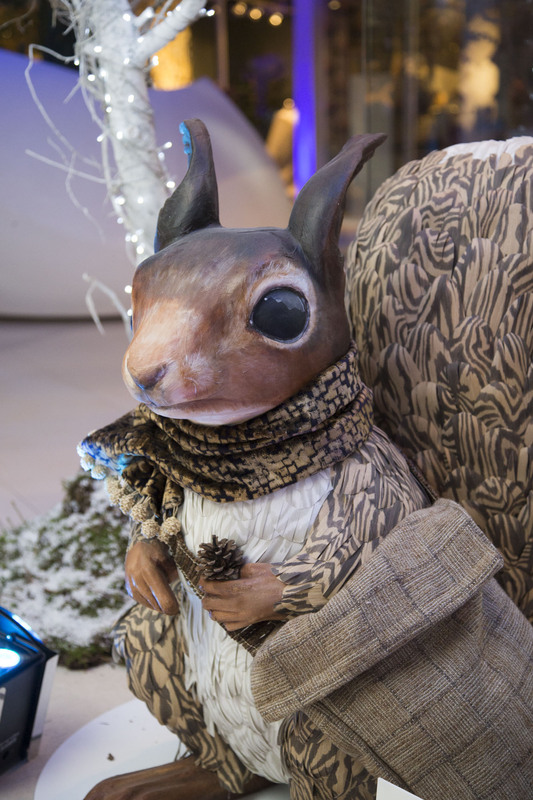 ‘Christmas is magical – what we’ve achieved here is beyond my wildest imagination’ says Arabella about the project. Visitors are welcome to see the installations until 23 December 2016.